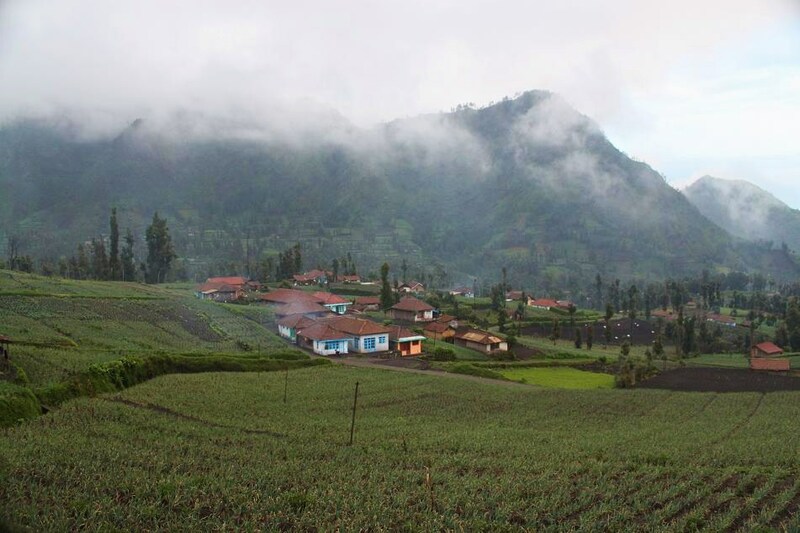 Cemoro Lawang: A Village in The Clouds | What an Amazing World! Rain drops start falling on the old green minibus that I take. While the noise from the old car’s engine breaks the silence. At the same time, fog surrounds me everywhere I look at. From afar, I can see clouds flying low on the hill. 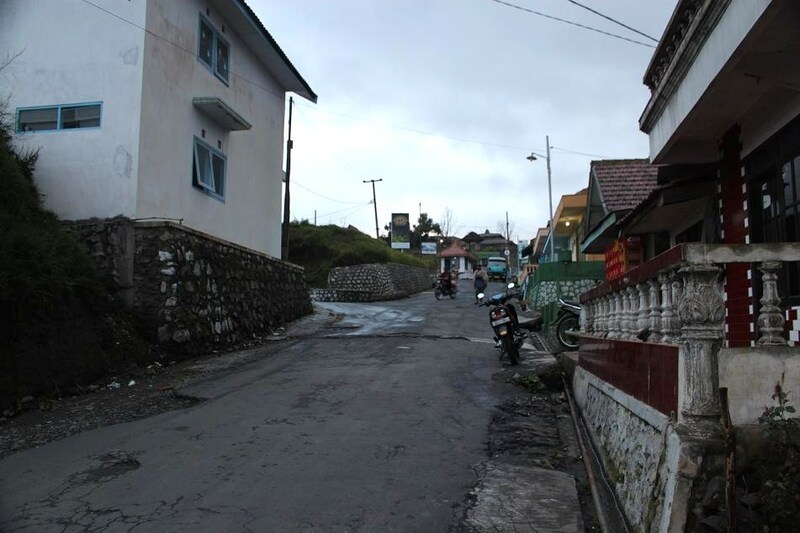 This is Cemoro Lawang. A small village which is hidden in the clouds, away from the crowd. It is the place where I spent a night before going further to Bromo-Tengger-Semeru National Park in East Java Province, Indonesia. After an hour and ten minutes flight from Jakarta to Surabaya, fifteen minutes ride on a shuttle bus from the airport to Bungurasih bus terminal, three-hour bus ride from Surabaya to Probolinggo, and another hour hop on an old minibus, finally I arrived at this small and serene village which happens to be the closest village from Mount Bromo area. 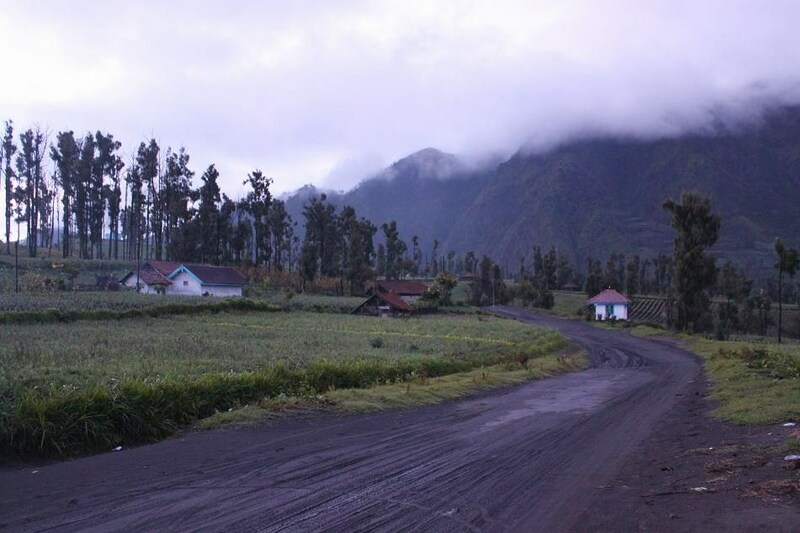 Due to its strategic location, Cemoro Lawang has been the most popular entry point for any visitor of Mount Bromo. Various lodging options are available in the village. From homestays (local people’s houses with rooms which are available for daily rent), small hotels, even quite expensive hotels which, of course, come with better facilities (for instance: hot water). I myself chose to stay at a homestay which is also featured in Wikitravel’s page about Bromo (speaking of which, is very recommended to take the route and public transportation as stated in the website. I did that and it worked very well). It is cheap for sure, but the only minus point which matters a lot for me is the fact that there’s no hot water available. The water feels like cold water right from the fridge! (I did manage to take a bath with that excruciatingly cold water on my last day in Cemoro Lawang, and I was numb for several minutes!). However, I put all the drawbacks aside and decided to take a stroll around the village on my first day there. I had a late lunch at a modest food kiosk and was quite surprised to see the old lady who owns the place. She looks pretty much like Peruvian women whose pictures are often published in many blog posts out there about Peru! Other than that, most local people wear poncho-like garments which look like sarongs. 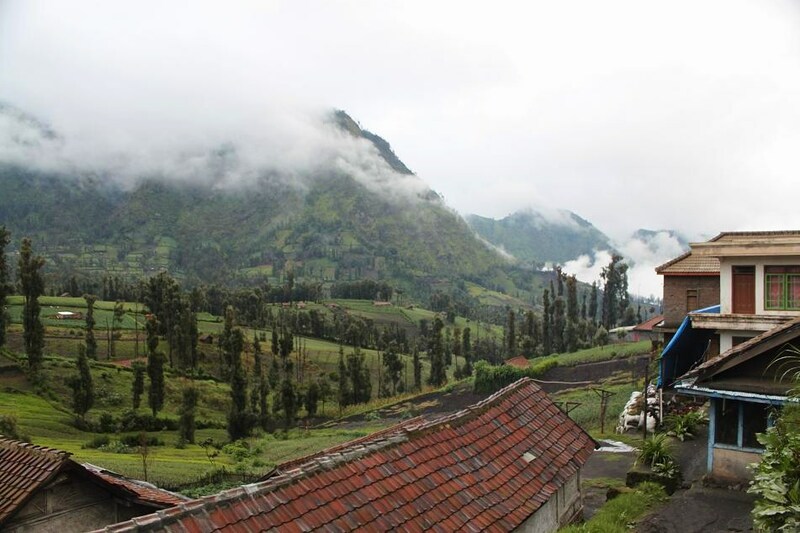 Cemoro Lawang is also one of the last remaining strongholds for Javanese Hindus who once ruled the entire Indonesian archipelago until Muslim traders brought the religion to many parts of the nation. This fact surely makes the village even more unique. When I wandered around the village, the scenery reminds me of postcards and pictures of Swiss-Alps villages with farmland on the slope of green hills. It was such a feast for the eyes, especially for someone like me who has to deal with Jakarta’s notorious traffic jam everyday. And now it is my pleasure to share some of those picturesque corners of Cemoro Lawang. Enjoy! Hahaha.. Anyway, they are indeed beautiful, too bad there’re no exciting food over there, or are there now? I miss the Bromo experience in 2008, but some foods I tried there leave a bad taste in my mouth, literally. Hehe.. Anyway, thanks for the suggestion. I’ll do my best. Beautiful pictures! I just love how those low clouds roll in over the hillsides. 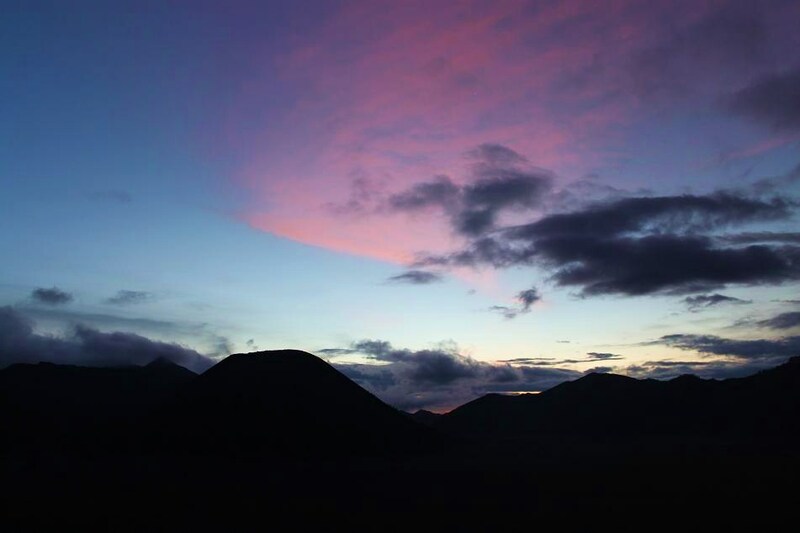 I’m looking forward to your post on Bromo and the sunrise hike! Thanks James, and yes I do love the clouds too! Looking at those clouds was very relaxing and soothing for me. It is indeed. You should go there! I have only been to Lake Toba in Sumatera. Still a lot of things to see in Indonesia. Pingback: Catching Sunrise at Mount Penanjakan « What an Amazing World! Pingback: Unearthly Mount Bromo and Tengger Caldera « What an Amazing World! That view from your room is gorgeous. I could just stare at it for hours! Me too! When I looked at the picture again a few days ago, I stared at it for quite a long time and that reminds me of how beautiful the village is. Pingback: Blue Skies Over Bromo « What an Amazing World!